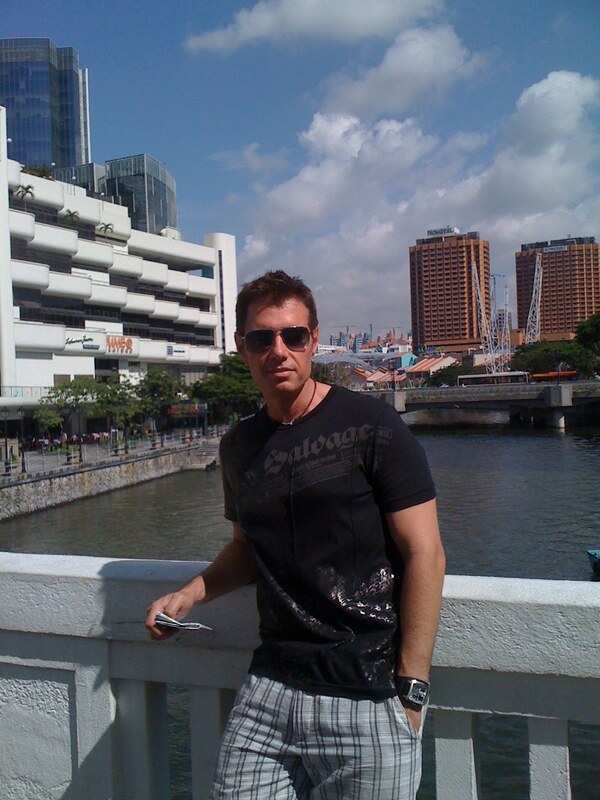 Singapore is a long way from my home in Tennessee. A very long way. After traveling more than 26 hours, I finally got here. Here’s some random thoughts and pictures. The Singapore airport and customs rocks. Clean, bright, spacious and fast. Everything you want in an airport. What a great first impression. Clean. Clean. Clean. I’ve never been in city of this size and seen anything this clean before. Lush landscape everywhere. Even the streets have beautifully and meticulously kept ornamental plants. No old cars. I haven’t seen one beat-up truck or rusted out car. And since this is a sea city in the tropics, rust would have to be an issue, but I haven’t seen one. Booming economy. There’s construction everywhere. Big projects around the water and residential areas give you the impression the global recession hasn’t hit Singapore hard. Bring your own napkin. For all its wonderful qualities, Singapore does not believe in napkins. You have to bring it from home. That’s crazy. Hot and humid year round. If you don’t like to sweat and get your hair frizzy, stay away from Singapore. This is a 3-shower-a-day place. I’m wearing black and it’s a 100 degrees. Therefore no smile. A couple of teens were eating this and I asked them what it was. Dessert! 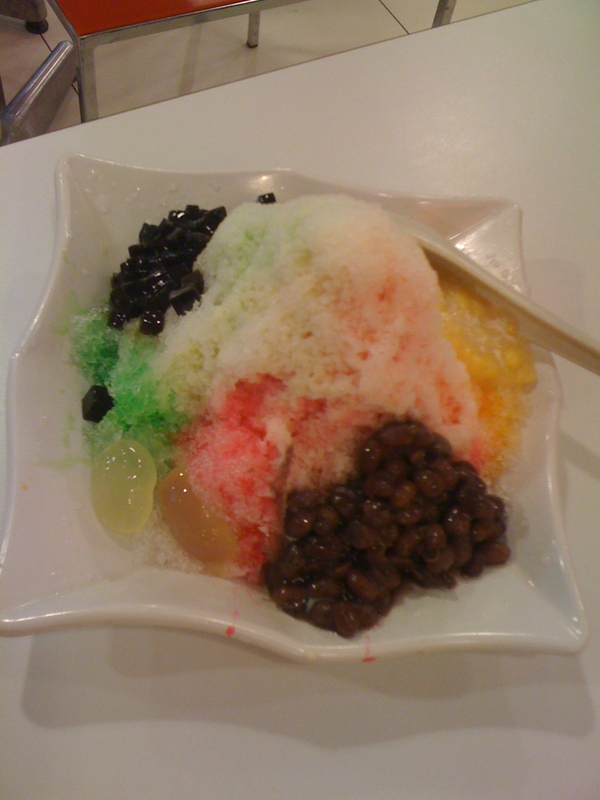 Shaved ice with sweet beans, rice (the black stuff), creamed corn and gummy slugs. No comment. A view of downtown from the top of the Singapore Flyer: a giant Ferris wheel. 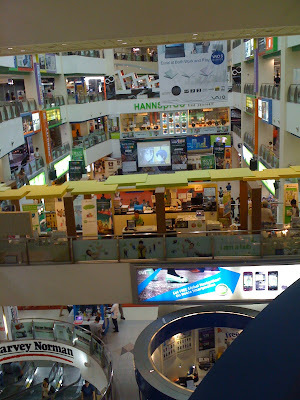 A mall filled with only technology stores. 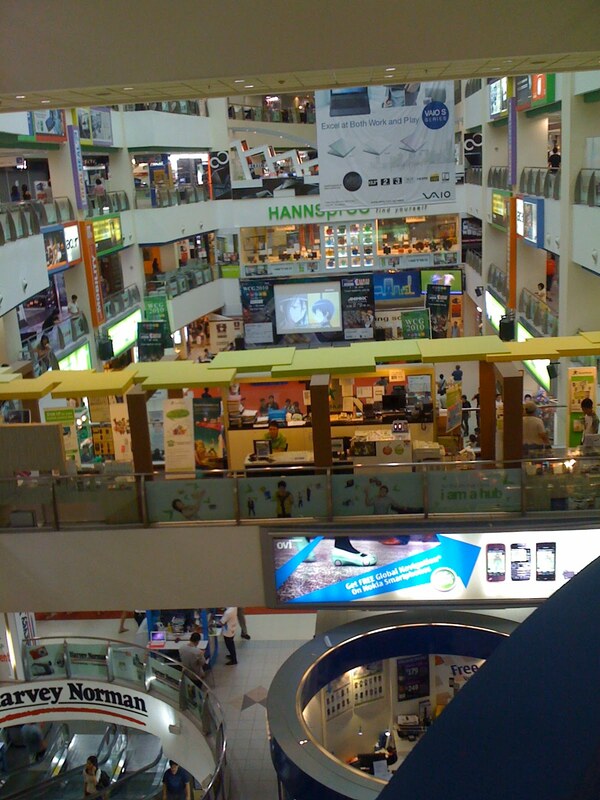 They call it Tech Mall. I call it Geek Heaven. So Singaporeans don’t like napkins. What’s the strangest custom(s) you have encountered? Everytime I travel to Asia I'm ask to try foods that's still looking back at me. I just can't do it. Great to be experiencing this trip with you! 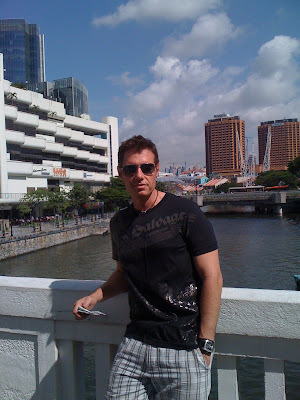 It's my 10th trip to Singapore but interesting to read about it from your point of view. It won't be complete until you eat Durian! I'm afraid to try Durian since it's forbidden at most hotels (including signs) and after someone described its smell as "rancid garbage" and another as "stopped up toilet." Fish head soup is very popular here. I'm not a fan of my food looking back at me either. Not sure it's really strange, but an interesting custom in Liberia is the distinctive handshake. When Liberians shake hands, they flick middle fingers against one another while parting so that it makes a sound like snapping your fingers.